Integrated Magnetics has more than 60 years’ experience in advanced magnetics, specializing in building custom magnets and magnetic assemblies for highly technical applications. 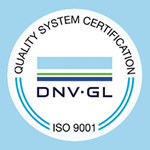 We use extensive engineering expertise, cutting edge magnetic materials, and global manufacturing solutions to deliver top quality products for customers all around the world. The global client base we’ve built as custom magnet manufacturers also means we have more than ample experience in shipping magnetic materials and magnet systems by air. Below, you’ll find detailed information about the necessary packaging requirements for shipping magnets by air, including restrictions, classification, packaging and safety regulations, and more, for both domestic and international shipments. If your application requires custom magnets or magnetic assemblies, send us a request a quote or contact us today. 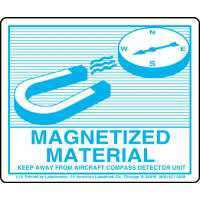 For air shipment purposes, magnets are considered "dangerous goods". 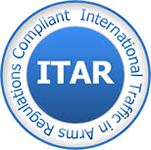 As such, the International Air Transport Association's (IATA) Dangerous Goods Regulations (DGR) must be followed. Flux measurements of all packages containing magnets must measure less than 0.00525 gauss 15’ from the package. If flux measurements are less than 0.002 gauss when measured 7’ from the package, the package is not considered to contain magnetic material, and hence is not classified as Dangerous Goods. However, unless the package is extremely secure and there is no chance that the contents will shift or that shielding will be damaged in transit, it is safer to proceed as though the package falls under the DGR. Packages containing magnetic materials must be clearly identified according to Packing Instructions 902. This calls for a "Magnetized Material" label to be affixed, and for a Shipper's Declaration of Dangerous Goods to be provided to the carrier. Personnel responsible for shipping magnets by air are required by the Federal Aviation Authority (FAA) to be trained for that purpose and for those training records to be maintained. Contact your carrier for more information and guidelines. Note that, in addition to transportation costs, Dangerous Goods fees apply to each package shipped by air, oftenmaking shipping magnets by air quite costly. All of the above factors must be taken into consideration when packaging magnetic materials for air shipments. Powerful magnetic components and assemblies need to be shielded so that magnetic fields will meet air shipment criteria. Packaging may need to be designed using Finite Element Analysis methods. 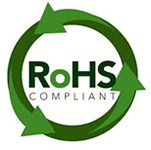 Thus, re-packaging or re-arranging packaging that has already been certified for air shipments will void the original certification. 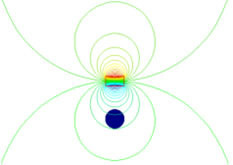 An example of how magnetic fields can be contained is illustrated in the FEA models below.